Arrive in style with complimentary valet parking, then enjoy a delicious meal with 25% off select dining. In the morning you’ll start your day right with a complimentary buffet for two. Get pampered at The Spa with a 25% discount, work up a sweat with complimentary access to the fitness center, and enjoy I-Drive attractions just outside your doorstep. Celebrate Father’s Day in luxury with our Father’s Day Package. It’s a great time for the whole family!! Make it a special day for Dad at our beautiful Rosen Centre Hotel. Stay in our deluxe accommodation for only $159.00, plus tax. Boasting serene accommodations and luxurious amenities, Rosen Centre Hotel indulges guests in the ultimate escape. And with a central location close to incredible dining, shopping and world-famous theme parks and attractions, we put Orlando at your fingertips. Rosen Centre offers ample opportunity to satisfy whatever cravings you, or your family, may have. From the unique Florida dishes at Everglades Restaurant to the grab-and-go convenience of Red’s Deli, you will never be anything but fulfilled. Present your RYAC ID card at these locations to receive your discount. Visit RosenCentre.com/YMCA or call (407) 996.9840 for offer details and reservations. Discount excludes alcoholic beverages. Enjoy a night away at the Rosen Centre Hotel while support a great cause. 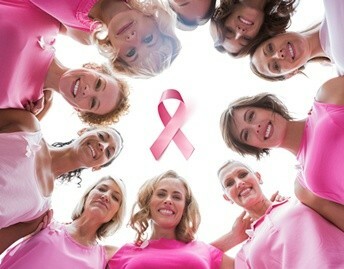 Your stay at the Rosen Centre Hotel can make a difference in the fight against breast cancer. Book a room using the rate code “Sleepover for the Cure.” and 5% of your room rate will be donated to the American Cancer Foundation of Central Florida. Rosen loves and appreciates all our teachers year round. Rosen Centre welcomes our educators with this special offer. Educator rates are available to all teachers, administrators and support personnel of all public and private schools and school districts. There is a limit of two rooms per teacher's ID. Guest will be required to provide proof of employment at the time of check-in. Discover for yourself the beauty of Rosen Centre Hotel and how Spa-Tacular we are! Pamper yourself in all the luxuries that the Rosen Centre has to offer. Enjoy our spa, pool and fitness center and indulge your palate at one of our alluring restaurants. 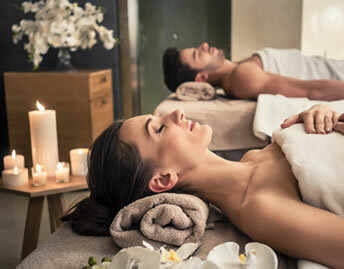 Stay with us for one night at $279.00 plus tax and enjoy one 50-minute relaxation massage at the Spa at Rosen Centre. Rejuvenate your body and mind at the Rosen Centre Hotel. Begin your day with a healthy breakfast and access to Rosen Centre's state-of-the-art fitness center. Your health is important, so start the day strong by booking a guestroom with the Health & Wellness package at this exclusive offer of 15% discount on our best available rates, plus tax. Rest Assured® we will exceed your expectations in every conceivable way. Being healthy never felt so great!